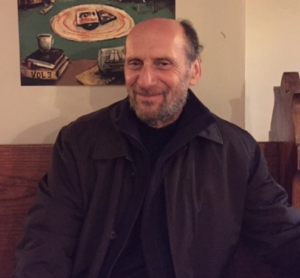 Jack Ajzenberg is the Vice President for Strategic and Operational Initiatives at ISGAP. Over the course of an impactful career, Jack engaged in activist and professional capacities for McGill University, YMYW-HA(Montreal), Canadian Jewish News, Allied Jewish Community Services (Montreal Federation) National Film Board of Canada, Hillel Foundation (Montreal) Council of Jewish Federations (Canadian Office), and the National Budgeting Conference of Canadian Jewry, Toronto Jewish Federation. Jack worked in finance at Midland Walwyn, Merrill Lynch Canada, and Nesbitt Burns-Bank of Montreal. He has produced several video series on health care and has ‘scribbled’ in fiction and non-fiction genres for his entire adult life. He is a Yeshiva graduate, attended McGill University and the New School for Social Research. He holds several Canadian Securities Institute advanced financial markets designations.